FUN, QUIRKY AND A GREAT PHOTO OPP! In order to attract more visitors and encouraging repeated visits throughout the summer and to create an eye-catching event that provided a unique customer experience, our commercialisation team hosted the Queensmere’s Bonkerz Balloons event. As a community focused shopping centre, Queensmere Observatory wanted to provide the community with fun and unique events during the summer holidays and to give Slough something it had never experienced before. 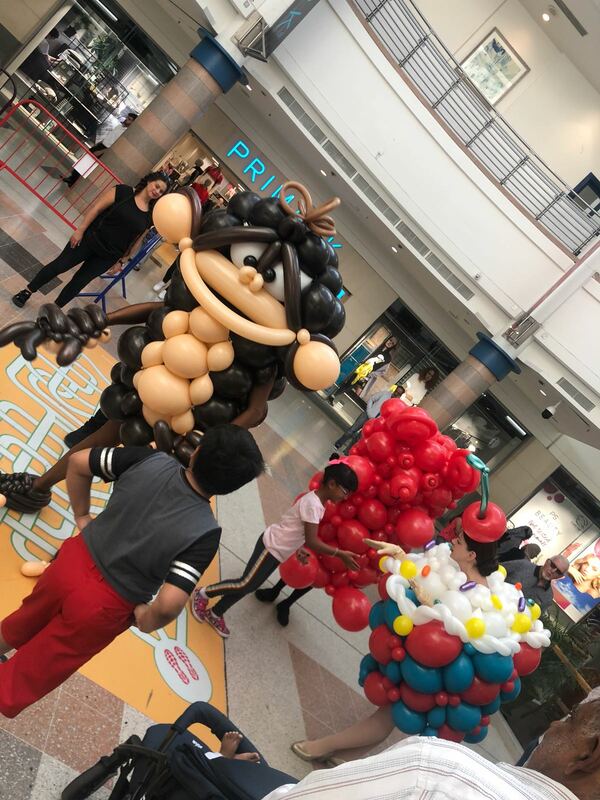 Seen on America’s Got Talent, wearable balloon characters are the new modern twist on the traditional balloon modellers with this event featuring characters such as a cupcake, a gummy bear and a monkey. Queensmere’s Bonkerz Balloons event included parades through the shopping centre, a chance to meet and get photos with the characters and an inflatable photo station complete with balloon props for shoppers to take quirky photos in.